In light of this decision and the years-long assault on voting rights Republicans have waged (including on Fox News), media need to report on voting rules, both in order to inform their audiences of what hurdles they might need to clear to carry out their constitutional right to vote and to give them policy information on which they might base their votes. In the past, media have often failed in their voting rights reporting. 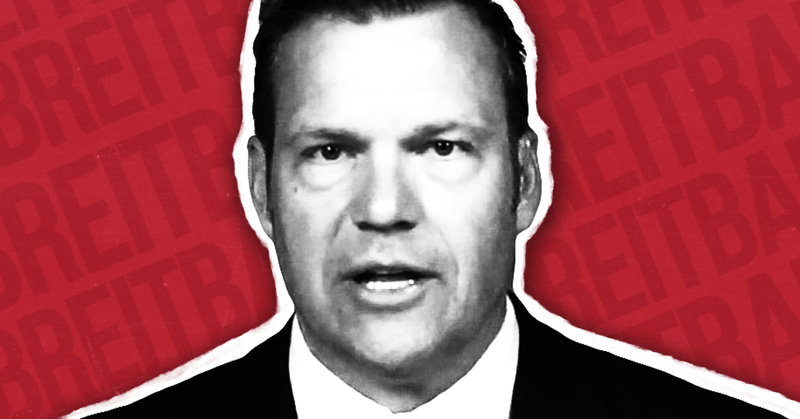 Much of the coverage of voting issues appears in conservative media, which have a history of misinforming -- or outright lying -- about the prevalence of voter fraud. In the runup to the 2014 midterms, nightly newscasts largely ignored the issue of voting rights. 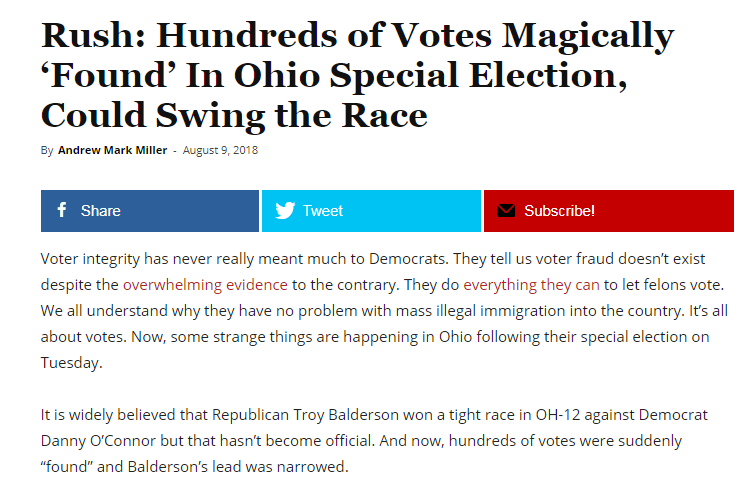 In about half of its articles on voter fraud from September 2012 to September 2014, The New York Times failed to clearly state that in-person voter fraud is virtually nonexistent, even as it included claims from Republicans suggesting that such fraud exists. Later analyses found that voter suppression measures may have materially impacted the 2014 elections. The longest mention was a meager 20 seconds on NBC’s Meet The Press. Other shows were worse. The day after the start of the second annual series of Women’s Marches all over the world, the major Sunday political talk shows were nearly silent on the historic protests, only briefly mentioning the topic across all five shows. Despite the worldwide impact of the marches, the major Sunday political talk shows -- which include CNN’s State of the Union, ABC’s This Week, CBS’ Face the Nation, NBC’s Meet the Press, and Fox Broadcasting Co.’s Fox News Sunday -- were nearly silent on the topic. These shows often set the tone and priorities for media coverage for the rest of the week. On ABC’s This Week, host George Stephanopoulos briefly acknowledged the “Women’s Marches in hundreds of cities all across the country” in his opening monologue, and later in the show, panelist Karen Finney mentioned “all the people who were marching in the streets yesterday.” No one responded directly to her comments about the marches. 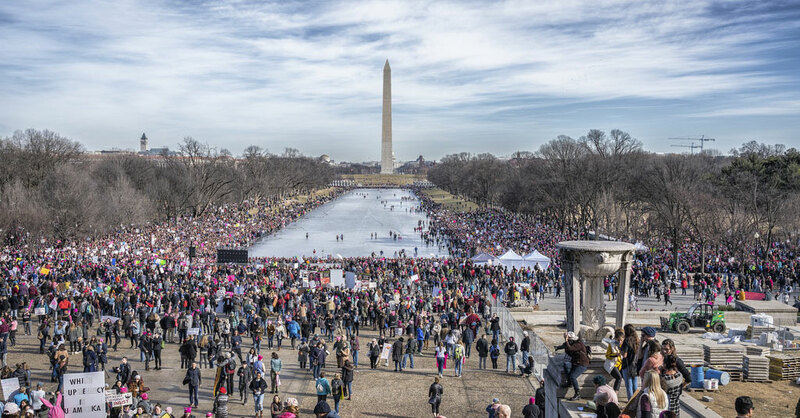 On CBS’ Face The Nation, conservative outlet The Federalist’s publisher Ben Domenech noted the “pro-life March For Life that happens every year, followed by the Women’s March on the other side” while discussing Trump’s first year in office. The only significant discussion, defined as a back-and-forth exchange between two or more people, of the weekend’s marches was on NBC’s Meet the Press, where panelists remarked on the event in a meager 20-second exchange. Host Chuck Todd also mentioned the “hundreds of thousands of women march[ing] across the country protesting the president, many with an eye towards more women winning office this November” in his opening monologue. 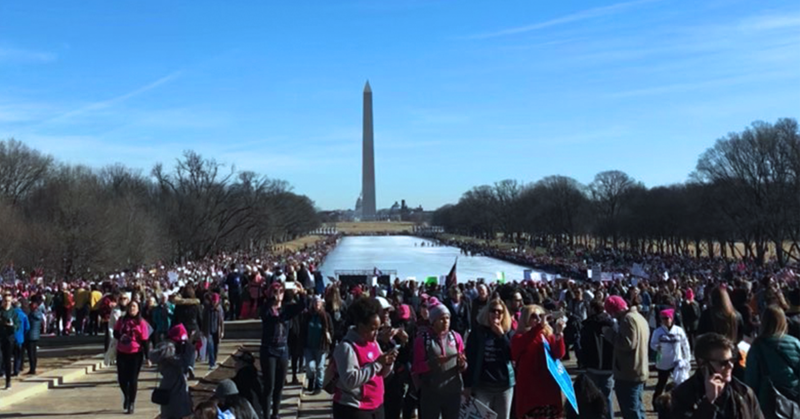 In 2017, CNN and MSNBC extensively covered the first annual Women’s March, while Fox News’ minimal coverage was criticized. That march was one of the largest protests in US. history. 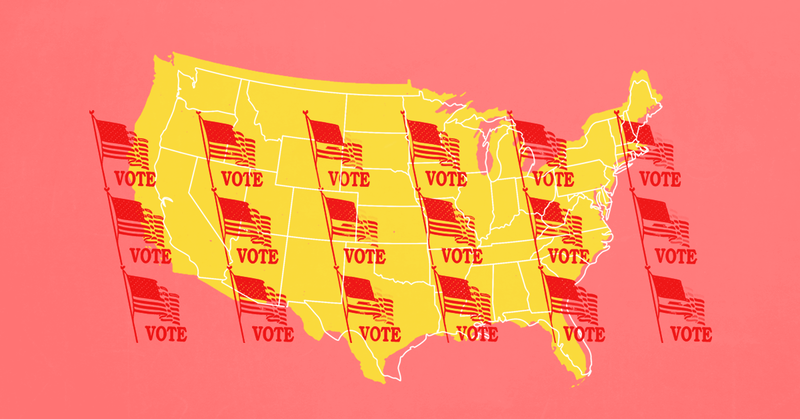 For years, right-wing media have systematically attacked voting rights in America. In 2017 especially, right-wing media continued to push falsehoods and flawed talking points in an attempt to justify voter suppression, and with the support of the Trump administration are laying the groundwork for a renewed assault on the right to vote. 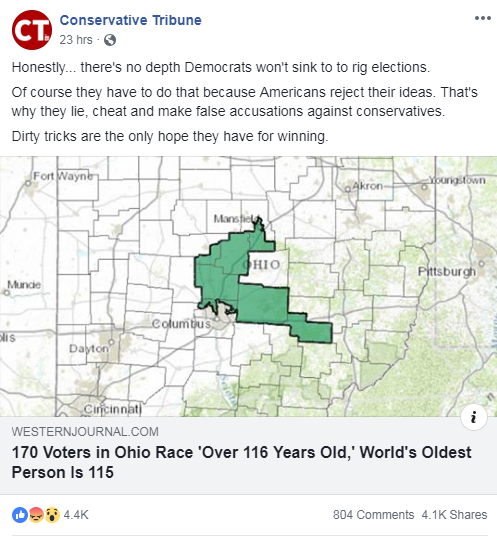 Right-wing media have long excelled at pushing misleading talking points and myths, no matter how stale, about voting. 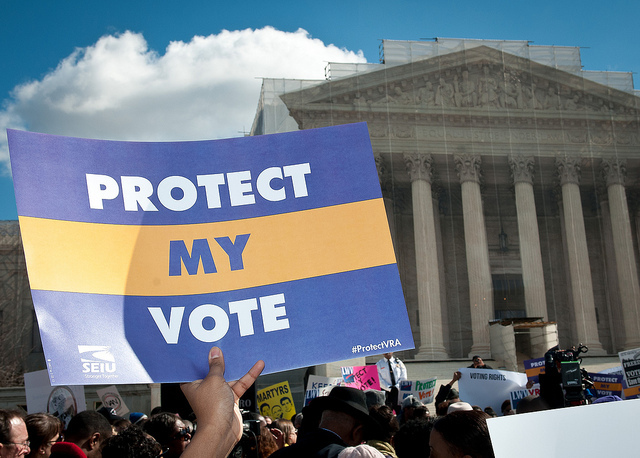 And since the Supreme Court’s 2013 decision in Shelby County v. Holder dismantled part of the seminal Voting Rights Act, these falsehoods have been used by lawmakers in support of discriminatory policies to disenfranchise voters at a dangerous pace. This year was no exception. 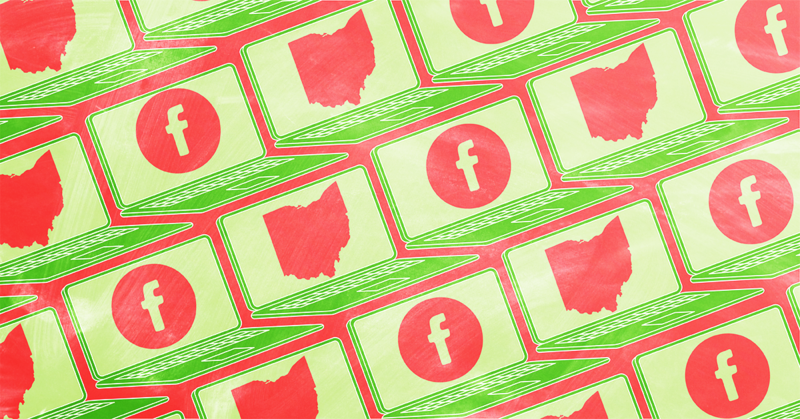 Following the results of special elections in which Democrats overperformed and exceeded expectations, right-wing media once again turned to a series of myths and talking points parroted by Republicans. Whether intentional or not, this misinformation will likely be used by GOP lawmakers and anti-voting activists to make it harder for everyone to cast a ballot in 2018. Following the surprising victory of Sen.-elect Doug Jones, a Democrat, in Alabama, right-wing and far-right media cried voter fraud in an attempt to discredit the results. 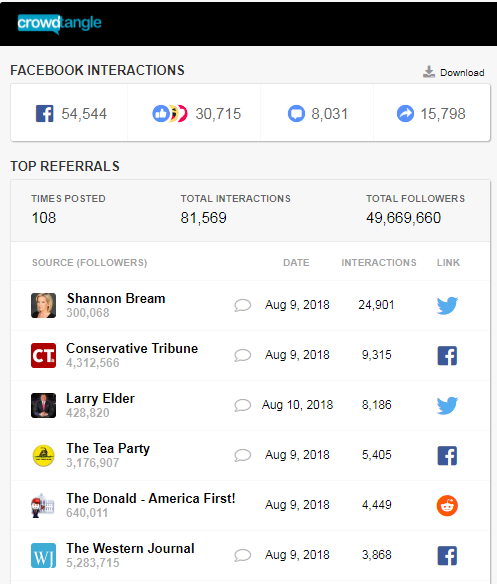 While voting took place and shortly thereafter, several fake news and so-called “satirical” websites attempted to claim that voter fraud had taken place. Perhaps the most successful myth promoted by fake news websites, pro-Trump Twitter trolls, and far-right conspiracy outlets was a video claiming to show that a man admitted people had committed voter fraud by coming in from out-of-state to vote for Jones. We came here all the way from different parts of the country as part of our fellowship, and all of us pitched in to vote and canvas together, and we got our boy elected. For years, politicians have used the specter of “voter fraud” as grounds not only to implement discriminatory voter ID laws, but also to launch chilling investigations designed to depress future voting efforts. Alabama voter fraud claims from the far-right and conspiracy theorists may be just helping these efforts come to fruition even faster. Democratic Party officials and media elites insist that asking people to prove their identities before voting effectively disenfranchises minorities, but most Americans understand the importance of ballot integrity. And if such laws make it too difficult for blacks to cast a ballot, what explains the Obamalike minority turnout for Mr. Jones, given that Alabama implemented one of the country’s toughest voter ID requirements in 2014? Scaremongers liken voter ID laws to the literacy tests and violence used to intimidate black voters under Jim Crow. But what happened last week in Alabama is not uncommon. Strict voter ID laws were passed in Georgia and Indiana more than a decade ago, and in 2008 the Supreme Court concluded that they are reasonable and constitutional. Subsequently, minority turnout increased not only within both states but also compared with other states that lack voter ID laws. Similarly, black voter registration and turnout remained level in Texas and went up in North Carolina after those states implemented voter ID mandates. Riley is wrong for several reasons. The first is that many people did have trouble voting in the election due to the onerous voter ID requirements in Alabama. Voters in Mobile told AL.com that they were “referred to a clerk rather than being allowed to immediately vote” if their addresses on their driver licenses didn’t match the ones of their voter registration. According to Courthouse News, poll watchers with the NAACP Legal Defense Fund “found voters running into trouble casting their ballots” due to the state’s voter ID law. Additionally, ThinkProgress reported that black Alabamians were forced to cast provisional ballots due to inconsistencies between IDs and voter rolls. Study after study has found stringent voter ID laws negatively affect minority voters when implemented. But Riley’s argument is simplistic and convenient enough for anti-voting advocates and lawmakers to apparently never cease repeating it in order to support these laws. But winning an election by one vote means that everything from felon re-enfranchisement to an on-time bus could change the course of a race. While all of these recent attacks have been made for years, they must be taken even more seriously now. With a cooperative administration in place -- not to mention a continuous loop between conservative media and the White House -- these attacks over the right to vote have a real chance of taking hold and informing law and policy. As the 2018 midterms get closer and closer, these attacks could be devastatingly effective, and potentially leave a real-life stain on our democracy.